This year’s Chinese New Year memories are still fresh in my mind. It’s always such a special holiday in our home! We feasted on dozens of piping potstickers, stir fried Chinese broccoli the lady at the Oriental market gave us, and the most aromatic Jasmine rice. The rice this year was an additional treat I hadn’t expected. Since I usually buy rice at the supermarket, I tend to go for the long grain white, and that’s that. But there’s a wonderful flavor with Jasmine rice that just can’t be beat, and the price is really comparable, especially when you buy it from the Oriental market instead. My kitchen isn’t yet set up to handle my buying a 25-pound bag of Jasmine or any other kind of rice, so the lady at the market sold me 6 pounds for US$3, and it made such wonderful Chinese rice soup and fried rice that I’m going to figure out a way to buy the 25-pound bag now. Imagine, 25 pounds of this delectable rice…for a mere $6! Rice is symbolic of wishes for plenty in the new year. At one time, I used to store 100 pounds of rice in a huge galvanized steel can just outside the kitchen door, and by tossing a few cloves of fresh garlic into the rice, we were always assured of fresh and insect-free grains. A little creative thinking again, and I’ll resolve this problem. My family knows if we don’t have Chinese food, there will probably be a large pot of sauce for pasta on the stove. My father died when I was four, but his legacy of pasta on the table lived on, as did my brothers’ memories of his expertise in the kitchen. Mom, on the other hand, was never very pleased when we joked about her cooking. She did make some wonderful meals. Her Jewish chicken soup was out of this world, although I usually appreciated when she didn’t bother attempting the matzo balls. As a child, I usually described hers like snowballs packed well in contrast to Grandma’s light and fluffy, delectable morsels. But music, not culinary memories, was Mom’s gift to the world. Mom also made an incredible roast beef basted in cream of mushroom soup and to-die-for roast chicken. On the other hand, she had a problem with leftovers: Leftovers were meant to be hot, and “hot” meant everything went into the cast iron frying pan and came out like a martini–dry. My older brothers, I suspect, learned to cook from my father–or watching him–and I learned from them for the most part. Although our oldest brother Jim is now gone, Jerry, my other brother, still sends me treasures of recipes he’s inherited from his students and friends around the world, and Jerry is an awesome cook. As a result, last week, I wrote to him and asked him whether he might share some of his recipes with readers of Ethnic Inexpensively, and I think he liked the idea. 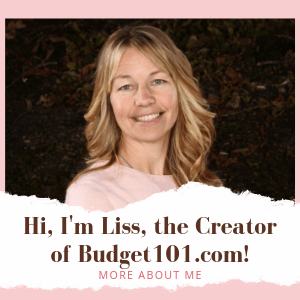 He’s been sending some wonderful ideas that won’t break budgets and are usually quick and easy, and I know he’s tested these. So over the next few months, I’ll share these recipes with you. I hope you’ll enjoy them as much as I look forward to sharing them with all of you. This week, we head for Thailand! A dish like this one can go beautifully on the table for several or a few people, depending on how much rice you might want to prepare and some stir fried vegetables as well. Stir/mix olive oil and hot sauce together, and heat in a wok or frying pan until sizzling. Stir fry chicken until golden brown. Mix duck and soy sauces together and add to frying pan, stir frying until done. Tip: Color enhances all cultural cuisines, and those of the Orient are no different. Consider the color of this wonderful dish, and offer a contrasting blend of hues to compliment this meal. It will be a winner! Till next time, bon appetit!